IMPOWER is pleased to announce that they have formally been awarded a position on the Pro5 National Consultancy Services Framework. With a combined purchasing power of in excess of £3 billion per annum, the Framework will identify aggregation opportunities in key market areas and engage the market accordingly. This approach is intended to promote a market response which will deliver better deals and more effective contract arrangements than if local authorities and other public sector bodies continued to work separately. IMPOWER was successful in relation to Lot 17 Social Care (Children) and Lot 20 Finance. This provides IMPOWER with a great opportunity to work directly with councils across a broad range of transformation programmes and projects without the need for a separate competitive tendering process. The framework will be in place until 23 January 2015, with an optional 2 year extension. Whilst principally for use by all local authorities across the UK, the Framework will also be open for use by other public sector bodies, such as educational establishments; police, fire & rescue and coastguard emergency services; NHS and HSC Bodies including ambulance services; central government departments and their agencies; registered charities and registered social landlords. The Framework means that there will be no need for customers to undertake lengthy and costly EU-compliant procurement processes; all these necessary formalities have been carried out by Pro5 already. Customers may simply approach IMPOWER, without the need to advertise the requirement or to pre-qualify consultants. 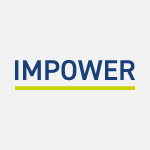 Please contact Caroline Throssel if you want to learn more about how to work with IMPOWER.